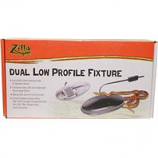 Zilla is committed to producing innovative products to build and maintain a healthy reptile habitat. 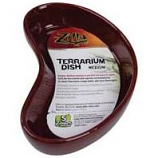 From terrariums to bedding, lighting to decor, Zilla provides all the necessary components for the successful keeping of reptiles and amphibians. • Lasts Longer Than Comparable Incandescent Bulbs. 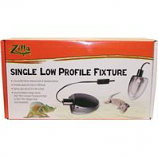 Provides necessary light and heat to terrariums without bulkiness of standard domes. Combines heat uvb and visible light into a single fixture. Spring clips secure it to the screen. . . 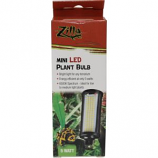 Provides necessary light and heat to terrariums without bulkiness of standard domes. Provides heat or uvb light. Spring clips secure it to the screen. . . Bright light for any terrarium. Energy efficient at only 5 watts. 6500K Spectrum-ideal for low to medium light plants. 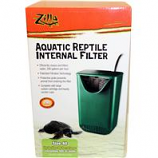 . .
Cleans efficiently and designed for terrariums containing up to 40 gallons of water.. Each unit includes a replaceable large carbon cartridge that removes odor and waste from water. Suction cups and hanging clips that make installation quick and easy are included. Protective grate is in place to pervent the animal from entering the filter. . Shallow rim gives access to smaller reptiles. Easy-clean ceramic finish. Ideal for desert landscapes and aquatic environments. . .
Attaches to the glass with a powered suction cup. Incredible natural look. Lightweight and durable. Comes with reusable feeding dish. .